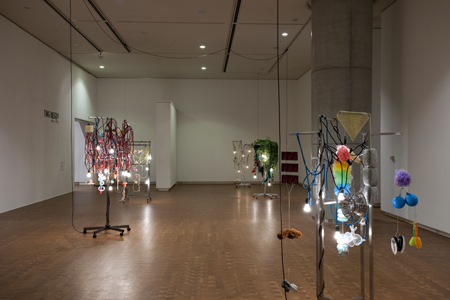 The National Museum of Art, Osaka is pleased to present a special exhibition titled "Kaza Ana/ Air Hole: Another Form of Conceptualism from Asia," featuring the work of nine Asian-born individuals and groups, including several from Japan. Emerging in the West in the 1960s and 70s, conceptual art was defined by its genre-spanning approach, which included immaterial expressions based on letters and signs as well as films and performances. In time, the term came to indicate a wider range of work, including art that was critical of social and historical systems, and art that was self-critical and clearly alluded to art history and criticism of the past. Since the 90s, the term has also come to refer to art that deals with various keywords such as "everyday life" and "the body." In this exhibition, we introduce for the first time a group of artists from various parts of Asia who also display conceptual tendencies in the widest sense. 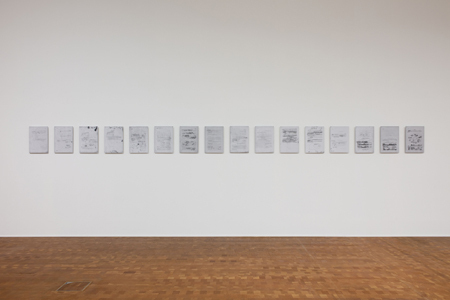 While touching on the difficulty involved in conceiving of Asia as a place, our decision to focus on work "from Asia" is meant to offer a different approach to conceptual art, which arose out of a primarily Western context and was originally characterized by a critical view of various social and historical systems. The objective of the exhibition isn't to provide answers to questions like "What is Asia?" or "What is conceptualism? ", but rather to examine how artists from Asia are reacting to the current conditions of the art world and to create a forum for a number of voices representing a variety of attitudes. As Western values currently face opposition from all sides, artists have been inspired to closely examine their own identities, and while carefully assessing the political agendas that are being pursued in the art world, are now searching for their own rules and perspectives. Among these artists are Qiu Zhijie, who reexamines the modernization of China based on archival methods; Kimura Yuki, who pays close attention to the systems and rules that produce her work while structuring the exhibition space; and contact Gonzo, a group that responds to the "city" basically with performance. While questioning the places that are produced by art, Araya Rasdjarmrearnsook and Dinh Q. Lê's work creates a relaxed and refreshing impression while dismantling our values. Shimabuku and Yang Haegue make use of everyday things, and by imbuing their work with both sensorial appeal and an excellent critical aspect, transform our sense of everyday life. The idyllic humor of The Play, a group which belongs to a slightly older generation than the rest of the artists, brings a gentle wind to the stagnant quality of contemporary life, and provides new discoveries that share something with the outlook of younger artists. The printed work (fliers, tickets, etc.) of Tachibana Fumio, known for design projects that incorporate unique typography and recycled paper, adds a special feel and warmth to the exhibition. In addition, his contribution to the exhibition catalogue is sure to create a different version of "Air Hole." The term "air hole" doesn't refer to a gap that was created to destroy values of the past, but rather suggests a space through which air can pass between the works, which while ascertaining their position, reexamine preconceptions, make and break rules, and accept contradictions. We sincerely hope you will join us for this alternative form of conceptualism, in which the artists, with wisdom and humor, introduce a new wind to the current environment of ever-increasing globalization and violent economic change.